Yet another great sweater to add to my collection this fall. Let me just start by saying this may be one of the softest and comfiest! 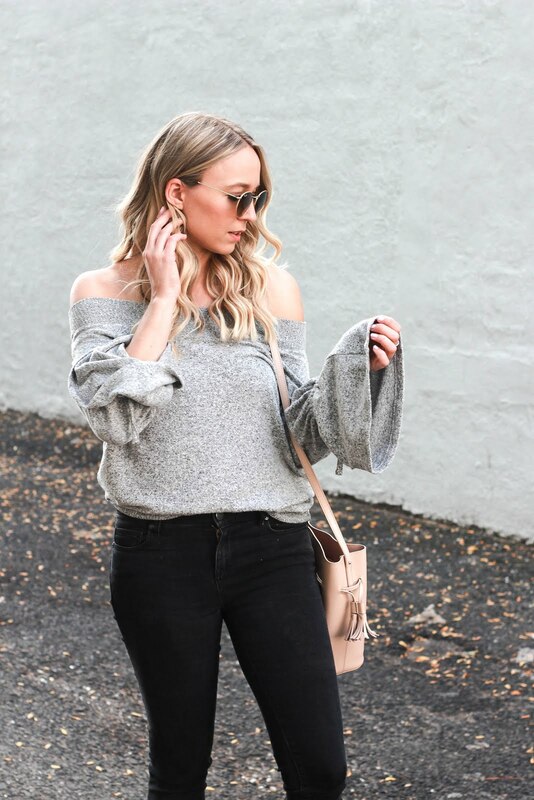 I am a hug fan of heathered grey and it's so perfect for a relaxed casual look. Paired with black or boyfriend denim and a pair of sneakers and I'm ready to hit the playground. (which btw I totally did this day, in this look!) This top has matching bottoms for it which would be so cute for a cozy around the house or running errands look. The great news, express is currently having 40% off! I've got to say, there are some really cute things. If you saw my instastory the other day I did a try on session with sweaters and they were so good. I've linked all the sweaters for you below as well as some denim. The express denim is one of my favorites and I think they always have really comfortable styles and shades of denim. Express also does really good shoes, they are affordable and stylish. Click any picture below the shop that product.